Interns Over 40: Till Labor Day. 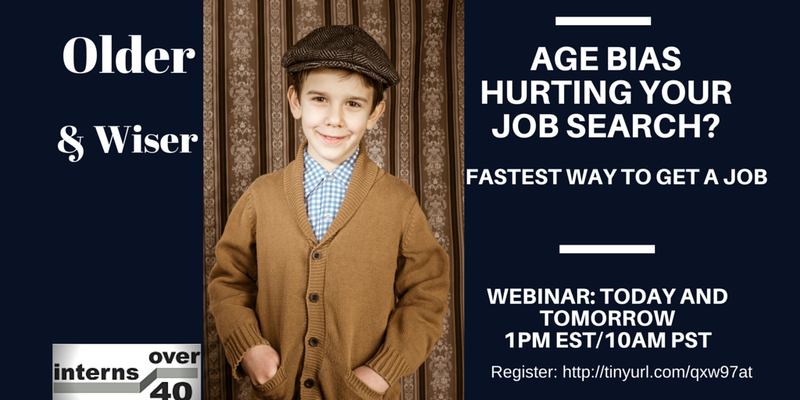 Free Instant Replay of How To Beat Age Discrimination During a Job Search. Till Labor Day. Free Instant Replay of How To Beat Age Discrimination During a Job Search. Post by Interns Over 40. Was this article useful? If so, subscribe to our newsletter to read more! Footnote 6:PSA are either Paid or unpaid Public Service announcements.